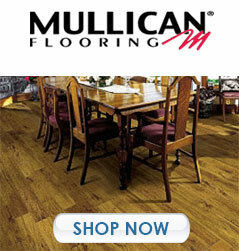 There is no shortage of flooring options online these days. But with all those options comes the added struggle of narrowing down your search to the perfect flooring solution for your project. 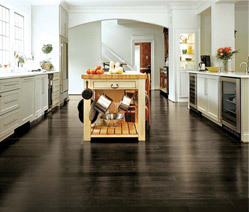 At FloorBros.com, we make it easy for you to find the ideal floor to complete your space. Even though we boast an online catalog of nearly 400,000 products, our state-of-the-art advanced quote system makes it easy and enjoyable for you to browse through each product and choose the perfect flooring that meets your vision, budget, and needs. 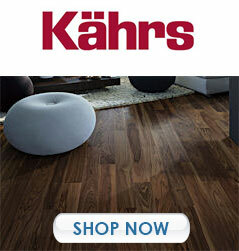 Our vast inventory features the best in flooring, including bamboo, hardwood, laminate, cork, ceramic and porcelain tile. 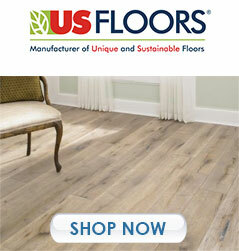 With FloorBros.com, you’ll have your floor chosen, ordered and shipped in no time. Solid bamboo flooring - as its name suggests - is comprised of 100% bamboo. For centuries, solid bamboo has been a widely used material in Eastern cultures; in recent years it’s made its way westward, in large part due to its tremendous reputation as an environmentally friendly flooring product. Bamboos are fast-growing grasses that don’t need to be fully harvested in order to supply materials for flooring. As eco-friendly products increase in popularity, so too does the desire for bamboo flooring. The planks of solid bamboo are constructed by cutting bamboo shafts into strips, then gluing them together under extreme pressure. Modern-day technology and design has allowed bamboo to expand in appearance, allowing for natural, stained, hand-scraped and engineered looks for your project. 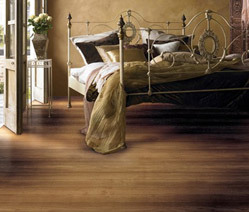 The ever-growing popularity of strand bamboo flooring is in large part due to its incomparable strength and durability. During the manufacturing process, Moso bamboo is shredded, woven together, pressure glued then flattened. The result is a bamboo flooring that scores higher on the Janka hardness scale than many hardwoods. 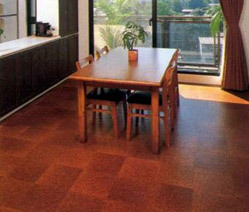 As such, strand bamboo is ideal for high-traffic and commercial floors. Aside from its manufacturing process, strand bamboo does not differ much from traditional bamboo. Like traditional bamboo, strand bamboo flooring can be found in stained and hand-scraped options and is well suited for residential spaces as well as commercial spaces. It’s naturally anti-microbial; it minimizes heat loss and provides a comfortable walking surface; it has a “spring back” feature that prevents it from being damaged due to heavy traffic and furniture; and, of course, it provides excellent noise insulation. Cork is suitable for many installations; however, is perhaps not ideal for heavily moist areas (like bathrooms), as it absorbs moisture. With today’s advances in printing technology, laminate flooring has become a viable alternative to natural styles of flooring. Used to simulate wood and stone, laminate flooring has many benefits that outshine its natural counterparts, including: It’s easier to install; it’s easier to maintain; it costs less; it’s durable and long lasting; and many brands of laminate flooring contain antimicrobial resin, making it a hygienic flooring choice. 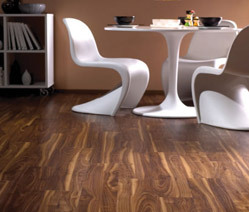 The installation process of laminate flooring makes it an attractive option for DIY installers. Laminate flooring typically floats over the sub-floor, on top of a film or foam underlayment, which provides moisture and sound reducing properties. While laminate has always been revered for its price-friendly properties, with today’s advancements in flooring technology, it’s now a sound choice for look, feel, and performance. Solid hardwood flooring is made from one single piece of timber and is revered for its thick wear surface and ability to be sanded and finished many times over (far more than engineered wood). Solid hardwood flooring has been popular for centuries and, in fact, it’s not uncommon to find homes and public places that have the same hardwood flooring that was installed several hundred years ago. 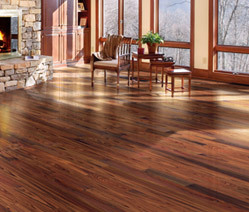 Solid hardwood is generally thicker than engineered wood, and can be used with under floor radiant heating. Unlike solid hardwood, engineered hardwood flooring is composed of two or more layers of wood. The popularity of engineered wood has grown in recent years, thanks in large part to the increased use of concrete subfloors. In fact, today, engineered hardwood is the most common type of wood flooring used across the globe. Engineered wood is typically pre-finished, whereas hardwood is often times site-finished. DIY installers typically experience a far easier time installing engineered hardwood rather than solid, due to a variety of patented installation systems. Rubber flooring is a 100% renewable source. It comes from rubber trees, is easy to install and maintain, provides excellent sound insulation and vibration reduction, and is resistant to fading and burns. 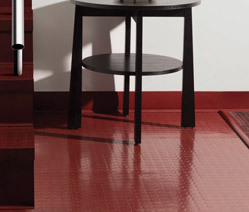 The rubber floor’s reputation for durability and ease of maintenance has long made it a popular choice in heavy-traffic areas such as schools and hospitals, where spills are also prevalent. However, modern flooring technology has allowed rubber flooring to expand its reach. These days rubber floors can be found in sports and fitness centers, playrooms and commercial settings. Rubber flooring can be cut and shaped into any pattern, and comes in a large variety of colors, textures and thicknesses. Often times, today’s rubber flooring is made using recycled tiles, thus making this style of flooring one of the most eco-friendly in the industry. Vinyl flooring is a type of resilient floor that is not only designed to reduce the impact of heavy objects, but also provides a far more healthier style of flooring than other types of resilient floors. Many types of flooring feature chemical contents that are harmful to the environment and your health. Vinyl flooring was created to provide consumers with a top-notch resilient floor that was safe for the environment and your home. There are virtually endless styles of vinyl flooring today. Luxury vinyl tile, in particular, is widely respected for its beauty and ability to replicate the look of natural flooring, such as hardwood, stone and tile. Unlike these natural floors, however, vinyl is far more versatile (it can be installed in moisture-rich areas), less expensive, easier to maintain, and not difficult to install. Natural tile and stone is among the most beautiful, elegant, and timeless styles of flooring avail-able. 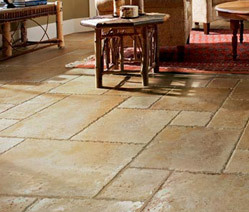 Stones, such as limestone, granite, sandstone and marble, as well as porcelain tiles, aren’t just beautiful to look at. 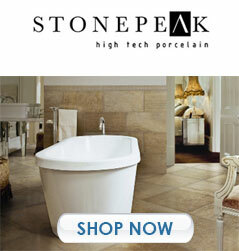 They’re also extremely durable and boast a low water absorption rate, making them ideal for bathrooms and kitchens. While tile and stone are generally more expensive than other flooring options, few other types of flooring are as long-lasting, or provide as much added value to a home or business, than tile and stone. Many customers who choose tile and stone flooring also complement their space with walls, back splashes or countertops made from the same design.